Amazing Stories® is a trademark registered with the USPTO (Reg. 4237952). The registered marks for Amazing Stories encompass the electronic and print publication of science fiction, fantasy, horror and related subjects, including non-fiction essays, interviews, reviews and related writings on those subjects. Electronic publication includes but is not necessarily limited to Ebooks, blogs, streaming digital, digital film, animation, digital audio and related media. Print publication includes but is not necessarily limited to magazines and books. The Experimenter Publishing Company has a vested interest in protecting and promoting the Amazing Stories brand. Those wishing to use the words “Amazing Stories” in print or electronic publication or display should contact Amazing Stories first. Note to re-sellers of pulp imagery: Amazing Stories® may not be used on any commercially available product without obtaining the proper licensing agreement with the Experimenter Publishing Company. The artwork underlying the Amazing Stories® title is NOT covered by the Amazing Stories® trademark and may therefore be displayed and/or sold so long as they are NOT accompanied by the Amazing Stories® title. Also note that the artwork underlying the title may or may not be in the public domain and the Experimenter Publishing Company makes no claim to rights in such artwork. 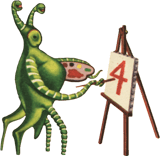 Contents of the Amazing Stories website are copyright © Amazing Stories, the Experimenter Publishing Company and their individual authors. email address immediately and we will take immediate steps to rectify the situation. While the contents of Amazing Stories are made available for public viewing, they remain copyrighted works owned by one or several parties. Permission to reproduce any materials published on the Amazing Stories website must be obtained IN ADVANCE of such usage. Permission may or may not be granted on a case-by-case basis and fees may apply.